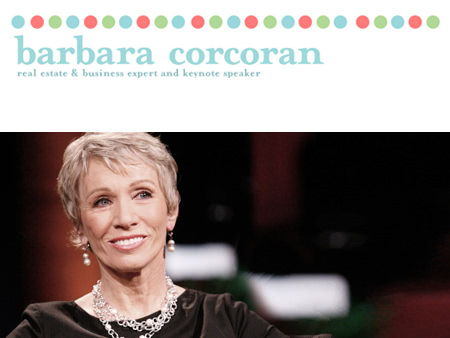 You’ve likely heard of The Corcoran Group and you may have even heard of Barbara Corcoran – the mogul behind the $5 billion dollar real estate giant – but you probably haven’t heard of her extraordinary back story. In Inc’s Women’s Summit, Barbara shares some very entertaining narratives and offers her lessons for fellow entrepreneurs. What does a waitress get with $1,000 and a boyfriend’s infidelity? $66 million more, a lot of fuel and title of one of the most successful entrepreneurs in America, apparently. Barbara is my kind of gal. She had 20 jobs before the age of 23 and made straight D’s in high school and college. She met her boyfriend while she was a waitress, borrowed $1,000 from him and in 1973 started a real estate business. When he told her that he was going to marry her secretary and that she would fail without him, she used it to ignite her entrepreneurial fire. In 2001, she was happy to report to her former boyfriend that she sold the company for $66 million in cash. Sucker. 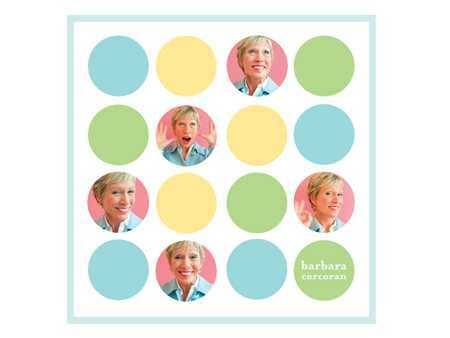 So what lessons did Barbara learn along the way to her incredible success? Barbara always worked on making her company look bigger, more successful and more specialized than it actually was. And it worked. With a little money, she ran a small ad in the NY Times with a bunch of her friends posing with the title, “The Power Brokers.” This was, of course a huge exaggeration, but a year later NY Magazine did a cover story on “power brokers” featuring three of Barbara’s people. She also came up with the “Corcoran Report” with erroneous statistics on NY real estate that frequently ran in the NY Times. She became a master of baloney branding. Barbara says there’s never a good time to expand. She suggests the best time to expand is when, “everybody’s asleep at the wheel, and agrees it’s a bad time.” She crawled her way through the backdoor whenever there were bad times, and she continued to rise past her competitors who weren’t moving. She says it’s the little entrepreneurs that have all the creativity and that creativity makes things click. She categorizes people as expanders and containers. Expanders are like Barbara: Kind of a mess, they see how far they can go; they’re excitable dreamers. Containers are just the opposite: They’re practical, reliable and great at the books. Barbara says that it’s essential to find people that are your opposites who can compliment you and will be great at the things you are not. This is how she has categorized the people she hires for years, and it has helped her company constantly grow. 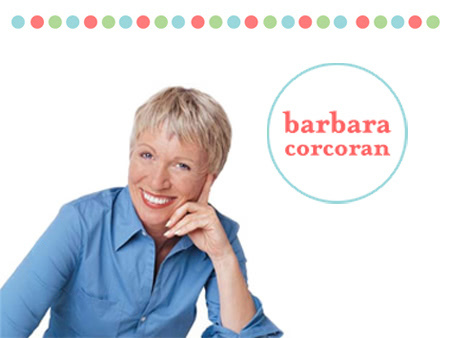 Barbara believes fun is the most underutilized tool for business. She said she spent half her time planning fun for the business, and started throwing bazaar and legendary parties. She said the best ideas and the most creative moments came at these events. Barbara uses the example of when she met Donald Trump for the first time, after ranking him #7 in real estate at a time he claimed her was #1. She was nervous, but then remembered what her mom had taught her: she had earned the right to be there. This was her mantra that continually gave her courage. She says that entrepreneurs should remind themselves of this, and have the courage to jump off the cliff without logic and find their answers on the way down. Absolutely loved Barbara’s story and advice. Make sure to check out the rest of her entrepreneurial lessons here. Also, check out the cute little $72 million Upper East Side listing she has. Man, I really missed my calling as a luxury real estate broker. Maybe I’ll try and convince Barbara I’m an “expander” so I can join the million-dollar commission fun.